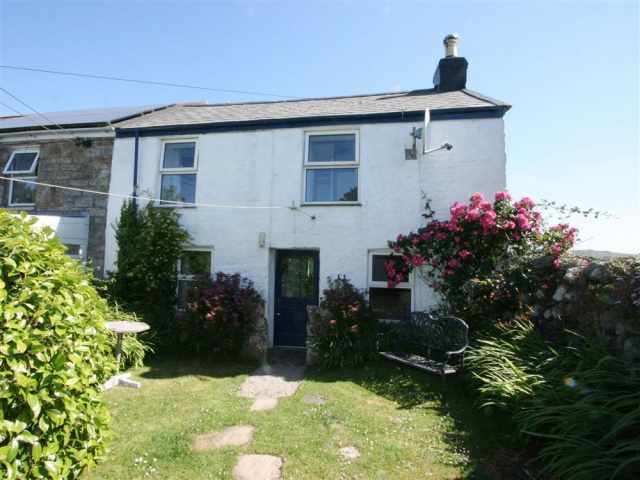 Nestling in a wooded valley just a quarter of a mile down the hill to the banks of Pont Pill, a tidal creek of the River Fowey, this attractive, semi-detached cottage stands in a quiet elevated position to one side of a tree shaded country lane. 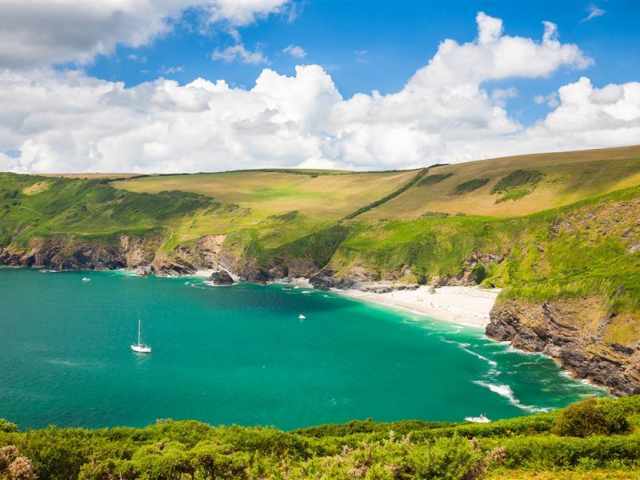 Surrounded by peaceful National Trust countryside, Cuckoo Tor offers a wealth of woodland and coastal walks nearby including direct access onto the renowned Hall Walk with stunning views of the estuary and the nearest south coast beaches are only a couple of miles away. 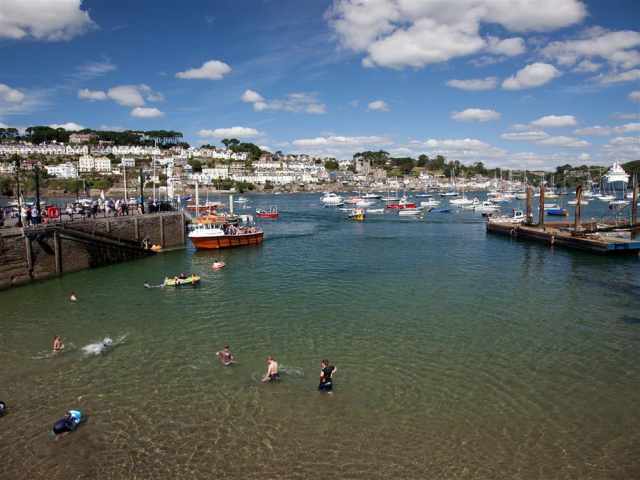 The Old Ferry Inn at Bodinnick offers a wide range of meals, less than 2 miles away,where there is also a car ferry operating to Fowey which has a good selection of shops, pubs, restaurants and a small beach at Readymoney Cove with a delightful rock carved paddling pool. 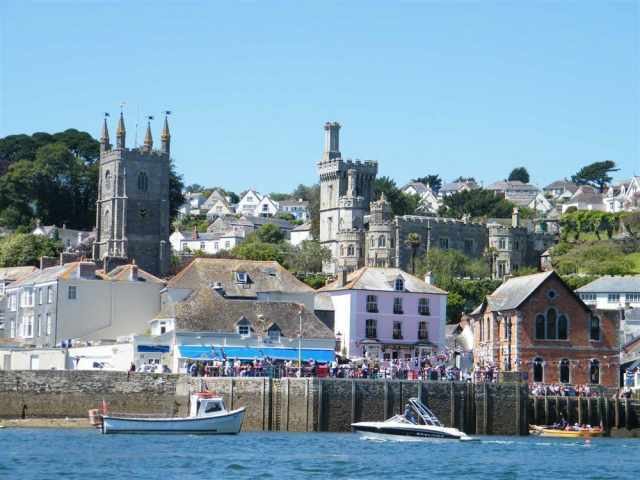 Polruan, also less than 2 miles, has a few local shops and two pubs on the quayside next to the passenger ferry running across the river to Fowey. 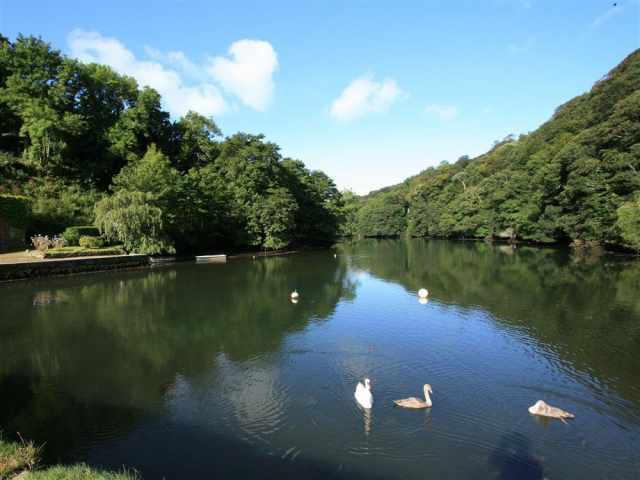 Both villages are readily accessible via glorious creek-side walks. 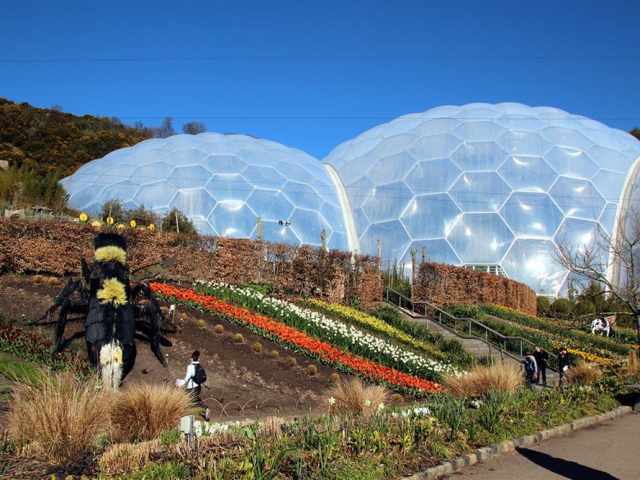 The South West Coast Path and the quiet sandy coves at Lantic Bay and Lantivet Bay are just 10 minutes by car and The Eden Project is about a 30 minute drive. Set on rising ground, the property is entered via a couple of gated steps that lead up to a small paved sun terrace overlooking the tree covered banks. From here the fully glazed front door opens into a charming and cosy living room with a painted beam ceiling, a dining suite and comfortable seating arranged before the fireplace. A well equipped fully fitted kitchen is partly divided off from the living/dining area with shaker style units and the original slate flagstones. 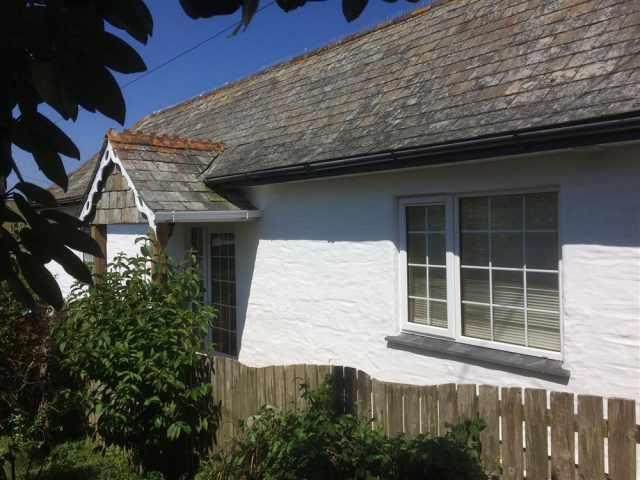 A carpeted staircase leads directly up from the lounge to a light landing where there are a bathroom W.C. with hand basin and electric shower over the bath and two pretty cottage style bedrooms with a 5ft double and twin beds respectively. Both bedrooms have pleasant woodland views. 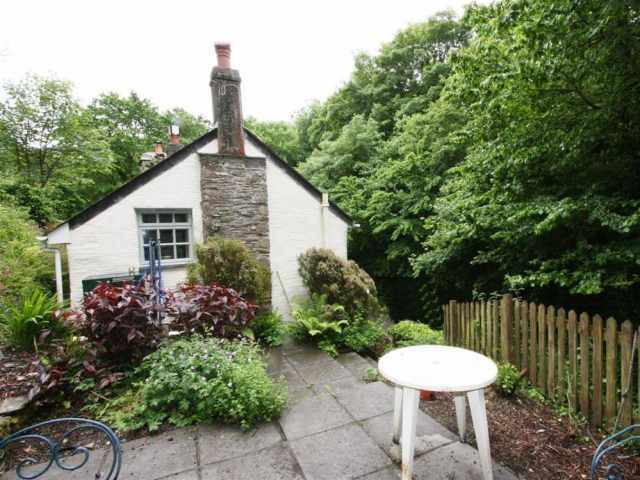 To one side of the cottage, a paved patio garden reached by a flight of a dozen stone steps has garden furniture and views of the wooded valley. Young children and pets will require supervision in the garden. There is a parking space for up to two cars in a lay-by opposite the property.